HomeMovie and TV NewsDoddle Digest: Black Widow, Doctor Who, RoboCop, and More! Some really cool news has hit the net this week! Marvel is talking about the future beyond Avengers 4, Doctor Who has released a brand new teaser, the next Bill & Ted film seems to be facing some trouble, the line-up for DC’s Birds of Prey film is rumored, and more RoboCop is on the way. Let’s kick it off with Marvel hiring a director for the long gestating Black Widow film. 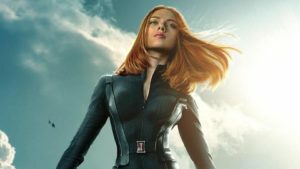 Ever since the first Avengers, fans have been calling for a Black Widow film starring Scarlett Johansson. It would have made sense that she should have been the first female Marvel Studios character to have a solo film, considering the character’s popularity, but that particular honor has gone to Captain Marvel. Still, for years we’ve heard rumblings that a Black Widow movie was being worked on and Marvel has now landed a director. According to The Hollywood Reporter Australian filmmaker Cate Shortland will be helming the film. No word on the plot for the film but it’s been rumored that it will be set before the events of the first Avengers film—probably even the first Iron Man movie. If true, I’d expect Jeremy Renner to reprise Hawkeye in that film as well. There’s also no word on when the film would come out but I wouldn’t be surprised if it was the next movie after Guardians of the Galaxy Vol. 3. Doctor Who is going through a regeneration with a brand new showrunner in Chris Chibnall and the first female Doctor. The teaser trailer for the upcoming new series was released and you can watch it here and below. There’s very little footage of Jodie Whittaker as the new Doctor and yet every frame I’ve seen has so far sold me. 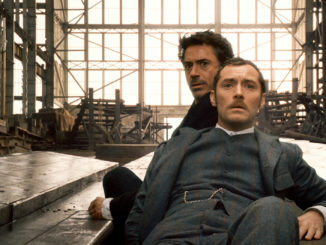 Whatever problems I may have had with this series as a whole, their casting of the Doctor has always been top notch. I just wish there was more to see by now. I’ve been absolutely flabbergasted that a third Bill & Ted film is in the works. 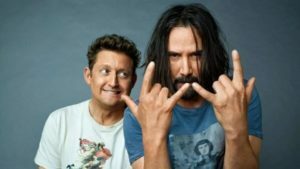 Both Keanu Reeves and Alex Winter have signed on to the film with original writers Chris Matheson and Ed Solomon on board to pen the screenplay. Turns out, that optimism may be short lived. In an interview with Yahoo! Entertainment Reeves said that the sequel is not a sure thing. Here’s what he told the outlet. I don’t know if [Bill & Ted 3] is a reality. We’ve been trying for a long time to get that film made, and it still has its challenges. I really love the characters, and I think we have a good story to tell. Part of it is business stuff—financing, rights, deals. Nothing creatively. I hope that these are just some of the regular issues that films go through and won’t hamper the movie being made. I am not the biggest fan of the RoboCop franchise. Neill Blomkamp was at one time attached to Alien 5 but that didn’t work out. 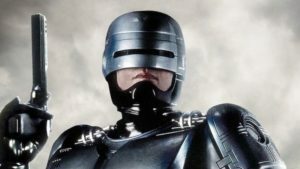 Now he’s attached to RoboCop and I can’t help but point out that it doesn’t look like he’s developing his own material. Whether that’s due to the climate in Hollywood for developing more established IPs and less original material or a lack of faith in the director who’s last two films have failed at the box office is up to debate. 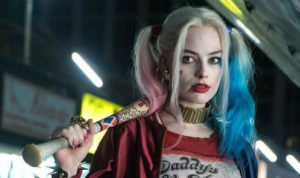 A new rumor from The Wrap is reporting that the all female Suicide Squad spinoff starring and being produced by Margot Robbie has finalized the list of characters that will make up the team Birds of Prey. DC characters Black Canary, the Huntress, Cassandra Cain, and Renee Montoya will be joining Harley Quinn to form the team. Interestingly, there’s no mention of Oracle/Batgirl (Barbara Gordon) who is a core member of the team, rather they’re going with the Cassandra Cain Batgirl. Cathy Yan is set to helm the film based on a screenplay by Christina Hodson. While The Wrap doesn’t say who the villain of the film will be, they are reporting it will be a Batman villain that hasn’t previously appeared on the big screen. Rumor has it that it will be David Cain who is an assassin in the comics and trained Bruce Wayne before he became Batman. Oh, and he just happens to be Cassandra Cain’s father. Obviously people are aware of Spider-Man: Far From Home, and Guardians 3, which James [Gunn] gets into prep on very soon. Outside of that, we like the idea of having the world do what we’re doing, which is focusing on the immediate future… but there are secret vaulted doors in Marvel Studios that lead to essentially what we’ll be doing between now and 2024. Marvel has been releasing three films per year so we know that 2019 is already set with Captain Marvel, Avengers 4, and Spider-Man: Far From Home. It’s reasonable to assume that 2020 will kick off with Black Widow and probably the sequels to Doctor Strange and Black Panther. 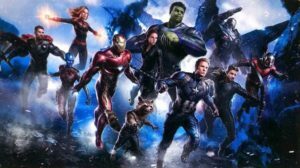 The Avengers films have been premiering every two years so I would suspect Avengers 5 to hit the big screen in May 2021. Unless they take a break from that title for a bit. I’ve been championing this for years. As much as I love the characters that make up the first three phases of the Marvel Cinematic Universe, I would rather a passing of the torch to new heroes rather than have them recast. So mostly good news this week plus the odd announcement of a new RoboCop film (after the last one didn’t do so well at the box office) and some troubles getting Bill & Ted Face the Music off the ground. Marvel seems to be a well oiled machine and Doctor Who looks great. The big question mark is Birds of Prey but hopefully Warner Bros. has learned their lessons.